Below you will find a shortened version of where some roses came from, and how at long last I found which queen of Denmark is my Rosa ‘Königin von Dänemark', who bred it, and how this lovely rose thrived by being transplanted from our old Kerrisdale garden on Athlone Street into our little Kitsilano deck garden. In our large garden in Kerrisdale on Athlone Street I amassed 85 roses beginning sometime at the end of the 80s. 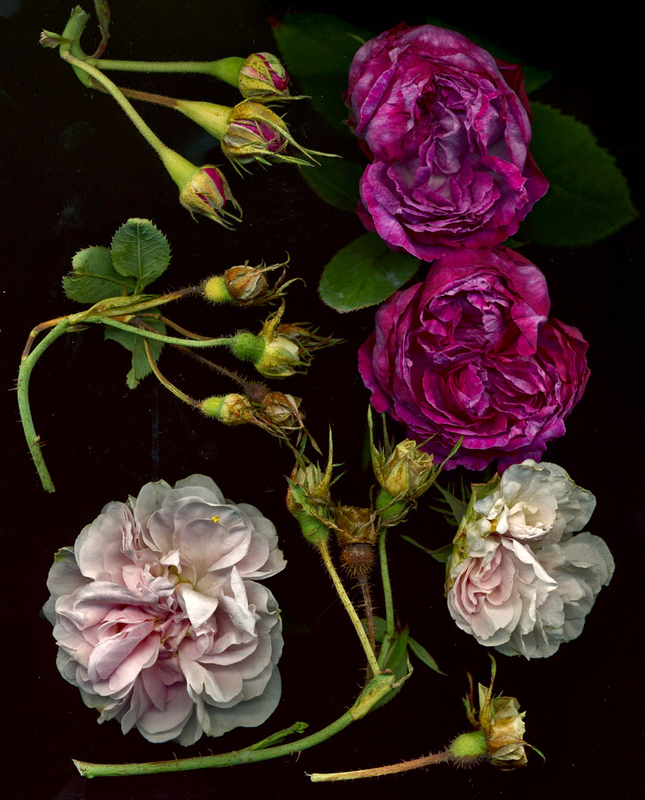 I had a preference for storied old roses and David Austin English Roses because these roses have intense fragrance. Most old roses are not remontant which means they bloom only once in early summer. In the 19th century a class of roses was developed called Hybrid Perpetuals (not in the least perpetual!) that bloomed once and then sparingly in the fall. It seems that roses coming from China had the ability to be remontant. One of these remontant roses was not from China but from the Middle East that history tells us may have come back to Europe during the crusades. This rose was from a class called Damask and the rose that bloomed more than once had the fanciful name of Rosa ‘Quatre Saisons’. I had that rose for a few years in the mid 90s until it simply died in a specially cold early spring. In our Athlone garden I had increasing shade by big conifers on a neighbour’s garden. Some of my roses began to look unhappy and a few became diseased with botrytis cinerea. The symptom was that the bloom would fall off before opening. The disease hit four of my roses. Two were Albas which are hybrids whose antiquity may go back further than the Roman Empire. Pliny, who lived from 23-79 A.D., mentioned white roses in his Natural History. Botanists believe these roses may have been Albas. These roses are usually white and their leaves are grayish. They almost never get other well know afflictions like black spot. My Albas were Rosa ‘Maiden’s Blush’ and Rosa ‘Königin von Dänemark'. A third was Rosa ‘Belle Isis’ a Gallica which like all Gallicas are native to southern and central Europe. 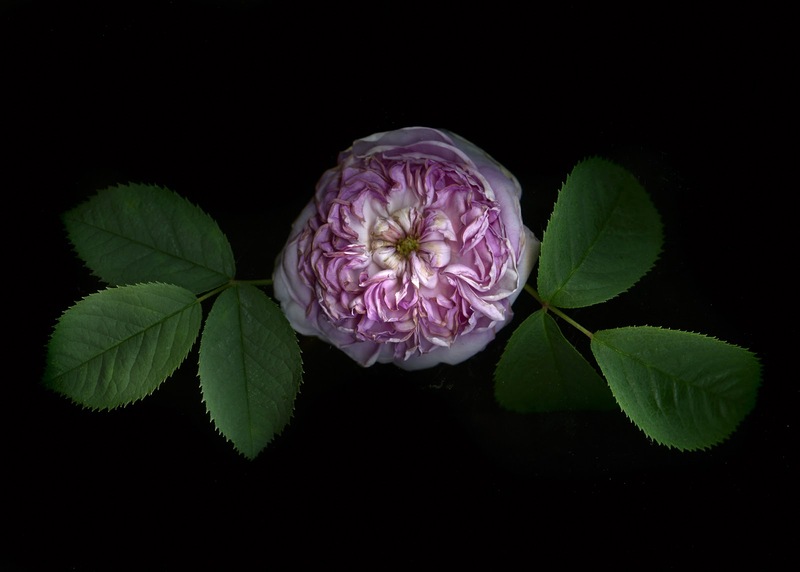 The fourth was Rosa ‘Reine des Violettes’ a Hybrid Perpetual. The above scan shows a not too frequent rose malady called rose proliferation. I tried spraying with copper sulphate and sulphur but nothing worked. Reine des Violettes died a few years ago and Belle Isis did not emerge with new growth this spring in our Kitsilano garden. But, (yes but!) ‘Maiden’s Blush and ‘Königin von Dänemark'’are both healthy. Maiden’s Blush as I write has yet to bloom but the other is glorious. My only guess is that transplanting them to a different place with different soil did the trick. 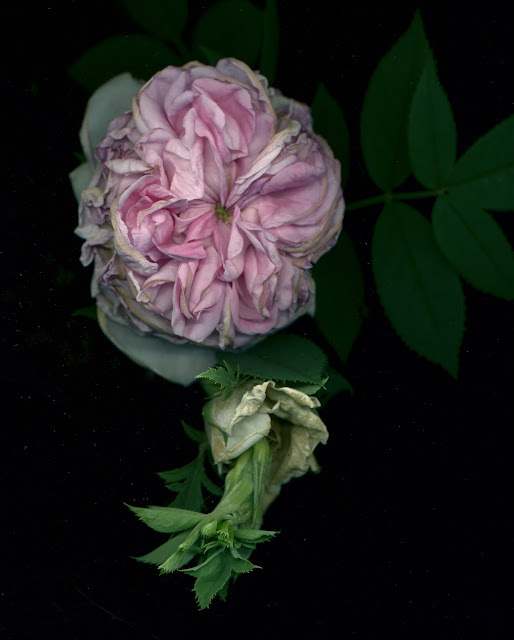 Alba Roses are hybrids whose antiquity may go back further than the Roman Empire. Pliny, who lived from 23-79 A.D., mentioned white roses in his Natural History. Botanists believe these roses may have been Albas. The Englishman James Booth was to emerge in a formerly part of Denmark but now in Germany with a rose of ‘German origin’. James Booth – a landscape gardener from Scotland – was invited about 1795 by Baron von Vogt of – at that time – Denmark, to create an ornamented farm, following the English example. Flottbeck, or as it is written today ‘Flottbek’, now a suburb of Hamburg/Germany, had fallen to Denmark by succession. Rich businessmen and ship owners, having their trade in Hamburg built their estates and residences in Flottbek at that time. Several others followed von Vogt’s example and more ornamented farms were built. To meet the growing interests in trees and shrubs, tree nurseries were established in the vicinity of these ornamented farms, where climatic and soil conditions were optimal for nurseries. This, and the prospect to get a job there, led an ex-sailor to move on with this family from Lower Saxony to this place. One of the descendants of this ex-sailor should be the founder of one of today’s leading rose nurseries worldwide: Wilhelm Kordes. Alongside his landscape gardening, which lasted for about 10 years, in 1798 Booth built up his own tree and shrub nursery in Flottbek, where he finally started his rose breeding attempt. The ‘Bleu Rougâtre de Flottbeck’, described by Bosse as “bright red with violet fluorescence,” is probably the only cultivar James Booth ever bred. He died in 1814 and was succeeded by his sons. 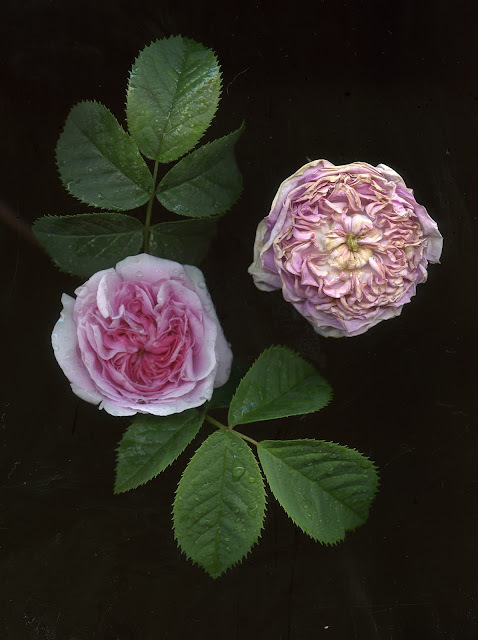 In 1826 James Booth Sons released the Alba ‚’Königin von Dänemark’, a seedling of the Alba ‘Maidens Blush’ and an unknown rose. It would be their only release. This ‘Königin von Dänemark’ sparked what was called “Der Rosenkrieg“ [‘rose war’] between James Booth`s sons, [‘James Booth Söhne’] and Johann Georg Christian Lehmann, the first director of the Botanical Institute in Hamburg and author of more than half a dozen botanical books of scientific rank. 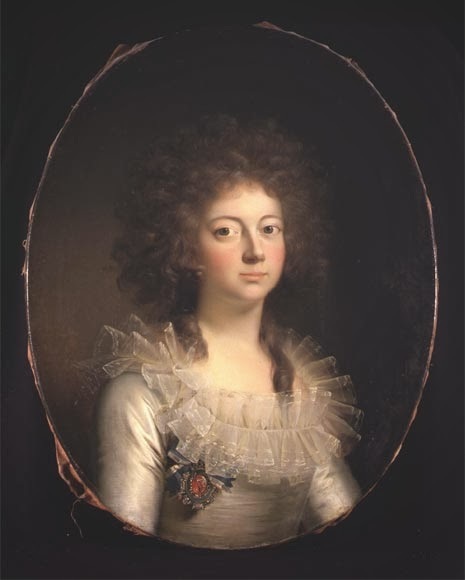 Lehmann accused Booth Sons of selling the known rose cultivar ‚La Belle Courtisane’ under a new name, and of not having bred a new cultivar at all. This “war” took place in the great newspapers of that time, occupying most of the energy of the two opponents. In the end, Prof. Lehmann could not prove his accusations, but the reputation of both opponents had sustained major damage. Booth Sons, very successful as owners of the tree nursery, did not engage any more in rose breeding. The nursery closed forever in 1886, liquidated by the next generation, without having contributed any more to the rose world. Here is the information of that Queen of Denmark Marie of Hess-Kassel! All of the roses featured in the scans here are not remontant. The argument that some rosarians make (include me!) is that nobody expects cherry trees or rhododendrons to bloom more than once. What these Albas, Hybrid Perpetuals and Gallicas have in common is that all have outstanding perfume. That’s why I love old roses.